Make a statement this season in this eye-popping dress. 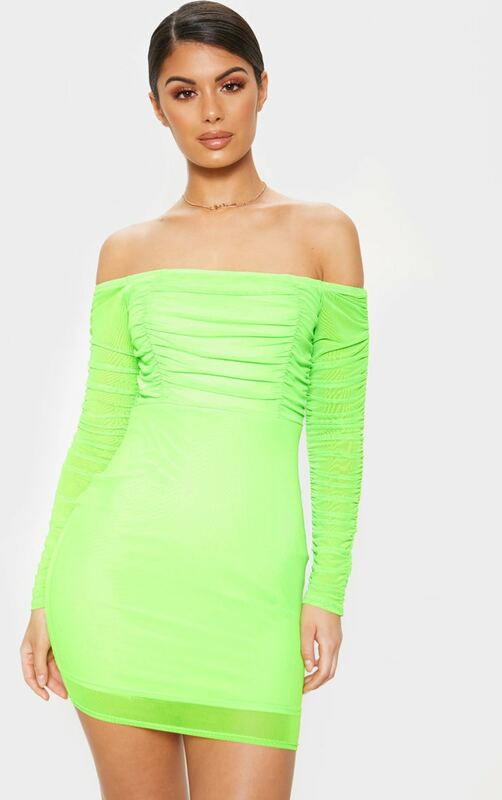 Featuring a lime fabric with a flattering bardot neckline, ruched mesh detailing and a bodycon fit, we are obsessed. Style with strappy heels and a pendant necklace for a look we're loving.